Burst blood vessels can appear in two different forms. One is a purplish mark that looks like a bruise. The other one appears as a red spreading of cells. These popped blood vessel can appear anywhere on the body. Spider veins or thread veins are other names for them. They usually tend to heal on their own, but sometimes there can be things that make the process go a little faster. What Causes Popped Blood Vessel in Foot? Popped blood vessels are usually caused by trauma, malnutrition, certain medications and diseases. It is more common for older people to get popped blood vessels in foot. Because the skin is more prone to bruising due to loss of flexibility. They are also seen more in women than men. Younger people can form them as well. High blood pressure and diabetes is also a risk factor for getting these popped blood vessels. Purpura happens when small blood vessels burst and blood gathers under the skin. It creates purplish spots on the skin that range from a few dots on the skin to large sections. Although purpura is usually harmless, it can be a sign of a clotting problem. Consult your doctor to make sure they are benign. Red spots on the lower legs or sometimes other areas of the body is the main symptom. This can happen as a result of taking medication and having a bad reaction. Platelet helps your blood clot, so if you have low platelet levels, excessive bruising and bleeding may happen. So you have to consider it as a cause to popped blood vessel in foot. Do a blood test to see whether there are any problems with your platelet levels. It is imperative that you should always call your doctor if any strange growths or changes appear on your skin. Usually popped blood vessels on foot go away on their own within a few weeks, but there are ways to speed up the healing process. Applying pressure to the area can stop it from being damaged any further. There are a few other ways about treating popped blood vessels. 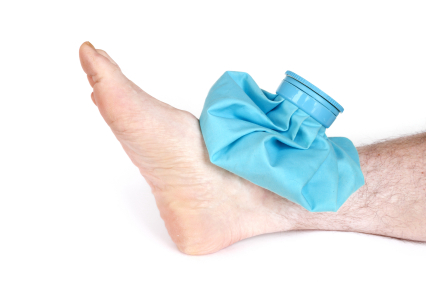 Use Cold Compress: Another way to treat popped blood vessel in foot is using a cold compress every day. It only needs to be applied for a few minutes every 2 to 3 hours. This method also relieves pressure on the affected area. By using this method, the spot should heal very soon. 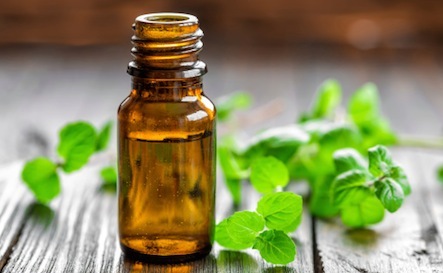 Apply Essential Oil: This is an easy way to help promote healing. Add ten drops of pure essential chamomile or rose oil with 4 oz of your favorite moisturizer. Apply this mixture on the area 2 to 3 times daily. Treat with Vitamin C and Vitamin K: There are moisturizers that contain vitamins C and K. Before going to bed, apply the vitamin C cream to the area and wait for a few minutes for it to absorb. After that, put the vitamin K lotion on and leave it overnight. It will help to keep the blood vessels healthy and flexible, therefore help to speed up the healing process. Anti-coagulant medicines such as the blood thinner can be used to treat popped blood vessel in foot. Blood thinners can stop your platelets from forming clots. There are also many foods you can eat to replace the blood thinner. Some of these include fish oil, nuts, and licorice. If your popped blood vessels get worse or just do not get better, you might want to consider medical treatment. Sclerotherapy is one of the treatments for popped blood vessels that your doctor can provide. This type of therapy shrinks the veins and allows them to be naturally absorbed into the body. You can get this treatment at your doctor’s office in just a simple visit. It only involves having a sclerosing treatment injected into the veins. After this treatment, you should see an improvement immediately. Laser therapy uses light to stimulate the skin, which can give treatments to really small areas. The laser light targets to darker pigmentation caused by the popped blood vessel, breaking up the vessels and letting the blood be reabsorbed into the body. This process takes longer than the other because you may have to go in more than one session. Only small spots are targeted at a time, and it gradually removes clusters of popped veins. When Should You Worry Your Bruise?